As a car shopper, you know that the price of a vehicle can determine whether or not it becomes yours. While most dealerships encourage negotiation and lengthy conversations about the value of a specific vehicle, Headquarter Mazda does not. Read on to learn more about Headquarter Value Pricing and how it can revolutionize the way you shop for your next vehicle. 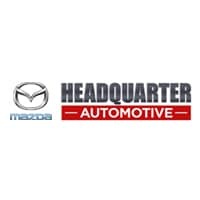 At Headquarter Mazda, we pride ourselves on providing each and every customer with a transparent and comfortable buying experience. Rather than putting pressure on the car buying experience, we focus on building exceptional customer relationships. Since we know, understand, and embrace the fact that many of our customers do not like the tension that comes with negotiating, we offer Headquarter Value Pricing. Headquarter Mazda believes that a vehicle’s value should be based on availability and demand rather than what we paid for it or how long we have owned it. For this reason, we do not inflate our prices in hopes of winning a negotiation. Headquarter Value Pricing gives customers the opportunity to enjoy prices that are based on the researched selling prices of identical vehicles in our market area. Our prices are accurate and similar to the prices that our customers have found while browsing various automotive websites on the internet. Headquarter Value Pricing eliminates the need for negotiating, reduces the amount of time needed to make a vehicle purchase, and creates a more enjoyable buying experience. What are you waiting for? 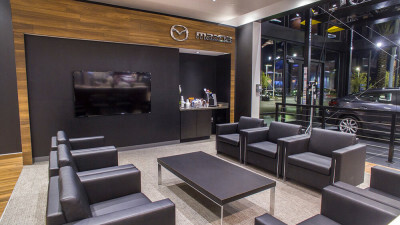 If you’re ready to drive home in a high quality Mazda vehicle that you have purchased for a fair price, take a trip to Headquarter Mazda today. Once you start your vehicle buying experience with us, you’ll wonder why you ever considered the stress of negotiating at another dealership.